The first thing you see is the game, projected onto the wall so large it’s visible down the block. Then the hightop communal tables, the ceiling draped with an American flag. You take a seat and there’s a bartender who’s as happy to make you a cocktail (try the tiki-ish Episode 73) as to crack open a PBR tallboy. He serves you a Jucy Lucy, a stroke of Minnesotan genius that injects a greasy, juicy burger with Velveeta cheese. And that’s the last thing you can, and need to, remember. 1725 W Division St (773-697-4804). Mon–Fri 4pm–2am; Sat 10am–3am; Sun 10am–2am. Average beer: $5. Bar Bar Black Sheep likes beer. So there’s Lagunitas’s A Little Sumpin’ Sumpin’ and Allagash White on draft. Bar Bar Black Sheep also likes wine. So there’s a small but surprisingly good selection by the glass and bottle. But what Bar Bar Black Sheep loves is bacon. So in addition to a bacon “flight,” this low-key, likable neighborhood bar provides the opportunity to add the strips of cured pork to any dish on the menu (be it mac and cheese or bread pudding) for no additional charge. 1415 N Milwaukee Ave (773-951-4635). Tue–Fri 5pm–2am; Sat11am–2am; Sun 11am–11pm (closed Mon). Average beer: $5. 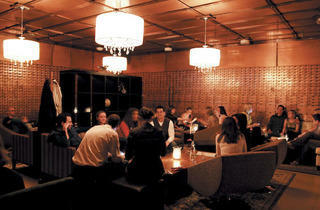 Scenesters venture into this historic space in the lower level of a former bank to soak up the quirky decor of safe-deposit boxes and other remnants that date from the 1920s. Chef Mark Steuer keeps it simple and seasonal with dishes like pork chop with braised field beans and carrots, and he sates late-night appetites with classics like macaroni gratin. 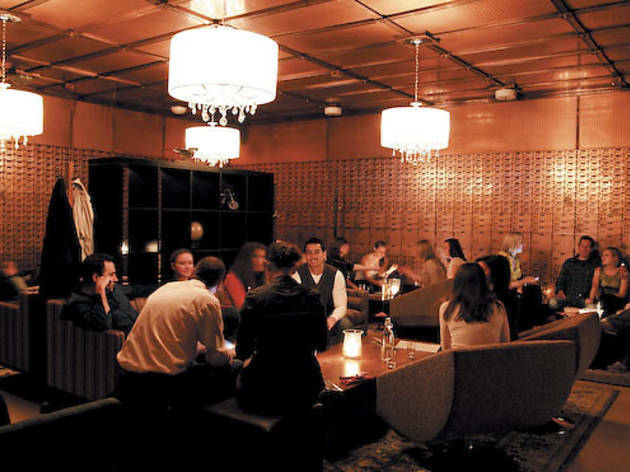 The well-appointed lounge in the original bank vault is a perfect spot to start—or end—the night with a refreshing cocktail. 1612 W Division St (773-235-8800). Mon–Fri 5pm–2am; Sat 5pm–3am (closed Sun). Average cocktail: $9. Since chef Justin White came on board, the name of this place may as well be Small and Underappreciated Beer-Focused Restaurant. Yes, there are still burgers and poutine, the satisfying snacks that, along with Small Bar’s encyclopedic beer selection, have made this a low-key neighborhood favorite. But White’s menu offers more than elevated bar food tropes: This guy is serving toasts with savory tomato jam and a sophisticated romaine salad rife with herbs. Even if he made nothing besides the perfectly fried whitefish sandwich, it would be enough to put him—and Small Bar—on the gastropub map. 2049 W Division St (773-772-2727). Mon–Fri 11am–2am; Sat 10am–3am; Sun 10am-2am. Average beer: $5. Standard here is meant to mean regular—as in, your casual Wicker Park neighborhood crowd, your familiar beer list, your comfort-zone bar food (burgers, mac-and-cheese fritters). But lest you think of Standard as merely average, note that this two-level sports bar is 4,000 square feet, and the servers are so peppy they’re practically cheering for you to like the place. 1332 N Milwaukee Ave (773-904-8615). Tue–Fri 5pm–2am; Sat 11am–3am; Sun 11am–2am. Average beer: $5.